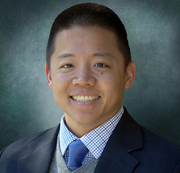 Wong (pictured) joined five years ago as SVP, Corporate Strategy & Head of Strategy - North America, working with the company's execs to drive strategic initiatives such as service line development, market strategy and expansion, new product sales and cost containment. Earlier, he was a Senior Associate (Engagement Manager) at strategy consulting firm Booz & Company (now PwC company Strategy&); and before this he was part of the Global Strategy team at HR consulting firm Aon Consulting, now Aon Hewitt. In his new role, Wong is responsible for developing and implementing IRI's Growth Delivered strategy and executing strategic priorities for the business, including major partnerships, global expansion, and mergers and acquisitions. He also serves as a member of IRI's Executive Leadership Team, reporting directly to the CEO.